What is Ambient Occlusion? Does it Matter in Games? It was year 2007 when you're playing Crysis for the very first time and you notice something different from any video game you've ever played. Everything looks more realistic – like you've been teleported to a different world. But why? And how? The answer to this is ambient occlusion. So what is ambient occlusion, you ask? First, let's define occlusion. It means to block, stop or obstruct. In graphics, ambient occlusion is simply the point at which an object stops light from a source, as well as the point in which an object throws light or shadow in its created world. It is what adds depth to a scene in a video game like Crysis or a movie like Pixar's Monsters University. Ambient occlusion was first introduced by Crytek in 2007 with their creation of Crysis. Ultimately selling over 3 million copies, Crysis' claim to fame can be attributed to their spectacular usage of Screen Space Ambient Occlusion or SSAO for short. Why isn’t Ambient Occlusion More Widely Used? Does Ambient Occlusion Really have that Big of an Impact? Before Crysis, ambient occlusion was used in 2001 in Ben Affleck's Pearl Harbor. 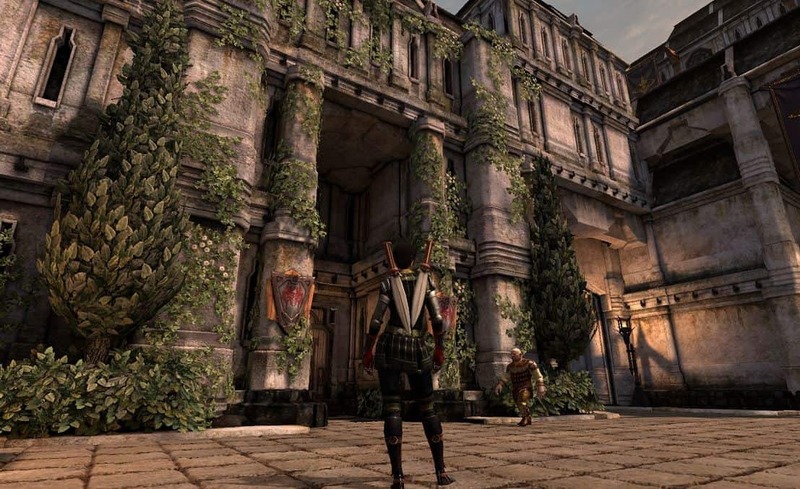 While the movie ultimately received a mediocre rating, it helped set the precedent for the use of ambient occlusion in film and video games. Technically, ambient occlusion comes in various forms. But overall, this happens when light from a primary source reaches an object and then is either shadowed, such as light hitting a wall with a corner and creating a realistic shadow on the part of the corner not facing the light source, or it is reflected, as would be the case with a light source hitting an object and reflecting onto an object in front of it, causing the appearance of muted light. SSAO, as previously mentioned, was created by Crytek and is what launched ambient occlusion in video games. 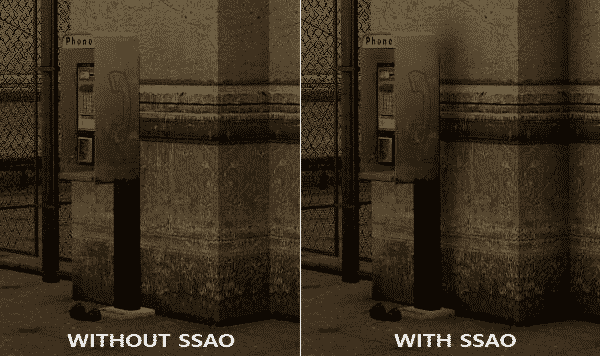 While revolutionary at the time, SSAO is not true ambient occlusion. Instead of taking into account all elements in the world, it simply considers a pixel and the pixels around it. This allows the game to approximate semi-realistic shadow effects. Positively, this effect requires no loading time. It also takes the load off of the CPU and places it on the GPU which is designed to handle graphically intensive tasks. the downside is that it doesn't take all objects into effect and this can cause issues such as jagged edges and less accurate lighting overall. SSAO was a great step in the right direction. It brought mostly accurate lighting and was perfect for GPU performance at the time. It brought you a depth that made you feel more like part of the game and took you to a world that had more realism than ever before. But of course, technology advances and GPU power increased which brought with it a newer, better ambient lighting technique. There are also some techniques used that allow a game to look even better on your gaming monitor while minimizing the impact on performance such as prerendering. Another technique used is to focus on rendering how the character affects the lighting of other objects. Some developers also focus ambient occlusion techniques on static background images that the player is unable to interact with. Screen space directional occlusion, or SSDO, is the successor to SSAO. Instead of mere pixels, SSDO takes into account both the light coming directly at an object, as well as the light reflected off of the object directly behind it. This added an extra layer of depth that made games even more realistic. 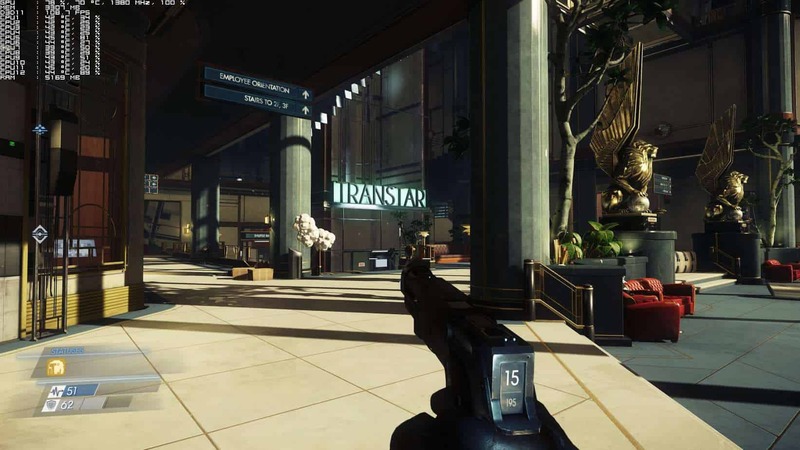 Gaming engines like Unity and Unreal use SSDO as a way for developers to produce even more spectacular worlds with more realistic lighting than ever. While SSDO creates more accurate lighting and shading, it is still prone to most of the same potential issues as SSAO. You can still end up with jagged edges or inaccurate shading from object to object. What SSDO does best is it allows the player or viewer to better differentiate objects from one another by the light or shadow between them. This gives a sense of depth that is not achieved by SSAO, and while it's still not perfect, it brings us closer to realism while still operating within the limitations of today's GPUs. Global illumination (GI), also known as indirect illumination, is the closest thing we have to photorealism in a digital picture. GI takes the light from all sources in a world as they relate to each other. This means that if the shadow from a tree a few hundred yards away would reach you, it will, even if it's not in the current frame. While true, real-time global illumination has not been used in a game, it has been used by Pixar in Monsters U. They used cutting-edge technology that allowed them to create monsters, buildings and other elements that looked very realistic. True shadows and accurate light made this movie a pleasure to watch (for more reasons than just my own nostalgia), and fans agree. Ambient occlusion is a really cool trick. It does a lot for the overall beauty and depth of a game, but the fact is that ambient occlusion just isn't included in most games. The primary reason is the demand it places on your GPU. Companies want to reach as many players as possible and not everyone has the latest GPU on their computers. This can make it very difficult for a really intensive game to do well. This can most likely be attributed to one of the reasons that the Crysis series isn't doing as well as it once was. With time, other graphics effects have arisen that, while not necessarily delivering the exact same effect as ambient occlusion, create similar feelings of wonder. Effects like distortion and bloom lighting create a realistic ambiance that makes the player feel like they are a part of the world. The best part is that it isn't nearly as taxing on your system. Bethesda's Skyrim is a really good illustration of these effects. Skyrim is playable with every console from the Xbox 360 and Xbox One, to the PS3, PS4, and Nintendo Switch. It's now even playable in VR. The short answer is not really. Ambient occlusion is cool but ultimately a gimmick. I previously spoke about how there are other techniques besides ambient occlusion that make games and movies look good. But the truth is that there are many factors that go into why a movie or game does well. Timing, story, content, and proper management of DLC also come into play. EA is a good example of why other things matter besides just looks. Star Wars Battle Front 2 missed its initial sales target because of the numerous microtransactions that hindered the gameplay and gave paying players an advantage. While it was certainly a visually stunning game, it wasn't enough to save it and EA eventually had to address the microtransactions to remain successful. Other games like 2D platformer Shovel Knight rely on a unique twist of action, nostalgia, and humor to bring in huge amounts of players. All of these are reminders that you can't rely on just one aspect to sell a game and that it takes a unique blend of design, graphics, and story to become successful. There is absolutely no doubt that ambient occlusion is a really cool and great looking feature. There is also no doubt that GPU technology is improving year after year. So what does that mean for the future of ambient occlusion? It's tough to say but, as I stated earlier, gaming engines still support it, even if it's not currently widely implemented. Personally, I believe that ambient occlusion belongs on the big screen. It's true that something that you watch is created much different than something that you play. In a movie, you aren't worried about the player looking in an unintended direction. There are no algorithms that have to predict what the player might do. Gamers are also notorious for purposely trying to find glitches in games, and these glitches may have the possibility to break your game and cause unintended issues. Movies are simple, relatively speaking. In a movie, everything you see is intended. The animators plan everything and the final product is exactly like they wanted it. This means there is no intensive processing happening in the background. Ambient occlusion is becoming much more widely used in animation for this very reason. While still tedious, the final product is still watchable on any TV and Blue Ray player. According to Statista over 117 million Americans own a Blue Ray player. This means that it is lucrative for a company like Pixar to keep pumping out visually stunning pictures that captivate their audience. 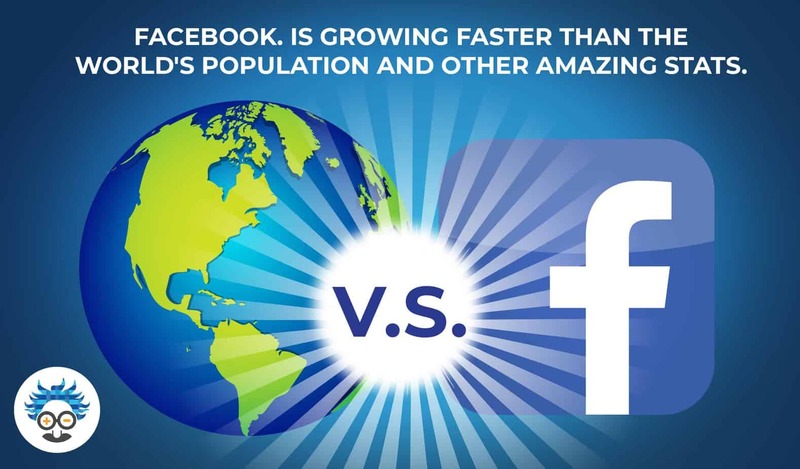 With the rise of companies like Netflix and HULU, it's also becoming easier to create content that will reach more people, more easily. 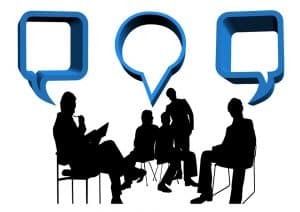 Pew Research estimates that over 73% of US households have access to a computer with an internet connection. This means that these companies are being rewarded for creating visually stunning content because they know that people will see it. I mean conclusion! Ambient occlusion is one of the most complicated aspects of graphics processing to describe. It's also fascinating how many uses it – from live-action movies to video games and animation. It's one of the many behind the scenes aspects that has given us some of our very favorite games and even some beloved movies. As great as it is though, it's not an end all be all in a game or even a movie. Maintaining good story and taking advantage of all of the visual techniques available, and most importantly listening to the fans is what produces truly great and timeless classics. Now it's your turn to let us know how you feel. Is ambient occlusion something that should be included in more games? Does it make a difference to you in movies? Is it worth developing further to make games more realistic? Can your graphics card handle Crysis? Is Skyrim still your favorite game 7 years later like it is mine? Drop a comment and let us know what you think.